High aperture objectives, all-weather shell, high quality. Porro prism. Magnification: 10x. Objective lens diameter: 50 mm. From now on bad weather is not a strong enough excuse for you to reschedule you observing sessions. 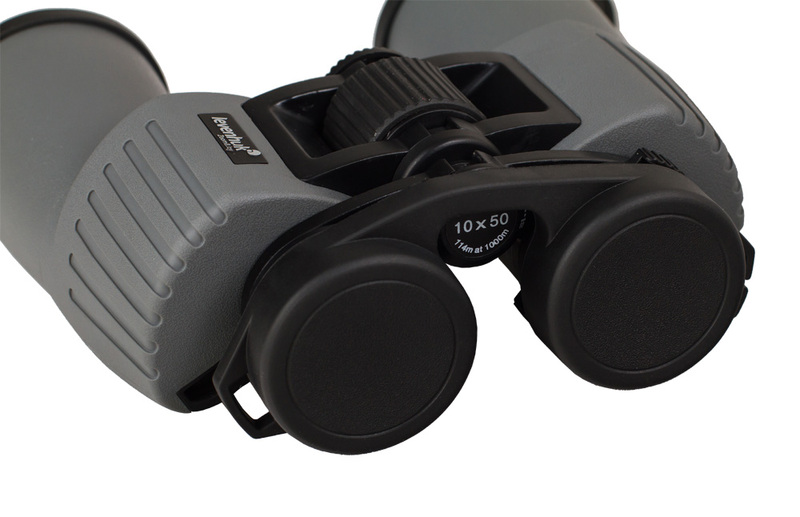 All-weather Levenhuk Sherman PLUS 10×50 Binoculars are designed for people who are not afraid of rain or snow. 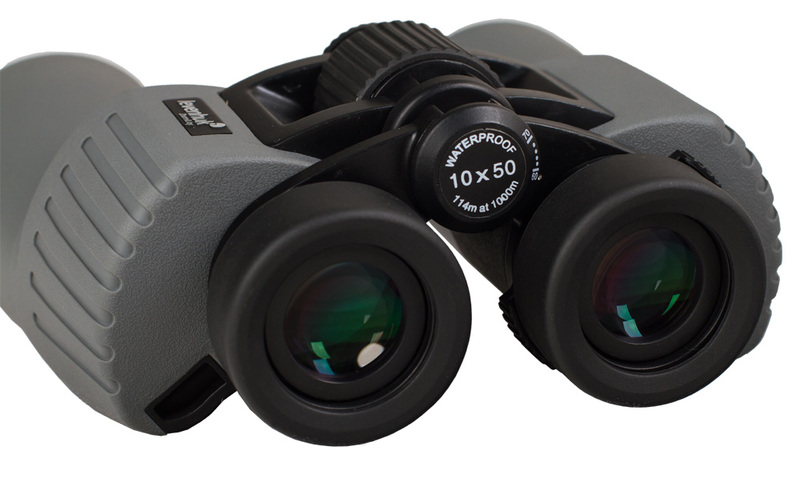 High magnification power allows you to observe very distant objects in great detail. High aperture lenses produce bright images even in low light conditions. The wide field of view is ideal for panoramic observations. Even on a foggy, cloudy, or rainy day, images will be perfectly sharp and contrast! High-quality Levenhuk Sherman PLUS 10×50 Binoculars will be your loyal companion for many years! 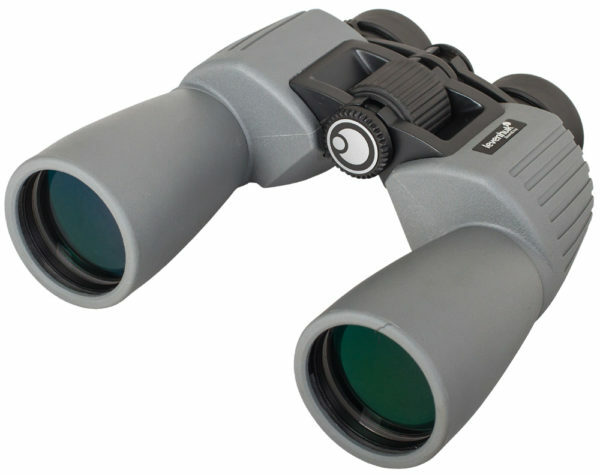 The Porro-prism design allows for reduction of light loss inside the binoculars. The model features two-element objective lenses and four-element eyepieces. All optical surfaces are fully coated with multiple layers of anti-reflective coating. The shell is filled with nitrogen, which prevents the optics from fogging even in high humidity. Levenhuk Sherman PLUS 10×50 Binoculars create bright, high-contrast images with vivid natural colors. The hermetic shell securely protects the instrument from moisture, dust, and dirt. The embossed soft rubber surface of light gray color softens the blow and protects the intricate optical system from any damage. 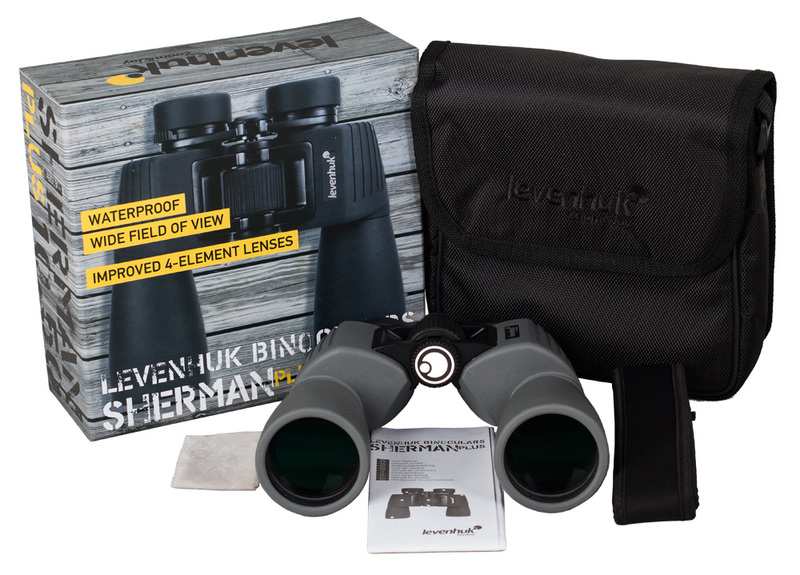 The Levenhuk Sherman PLUS 10×50 Binoculars lie comfortably in your hand.